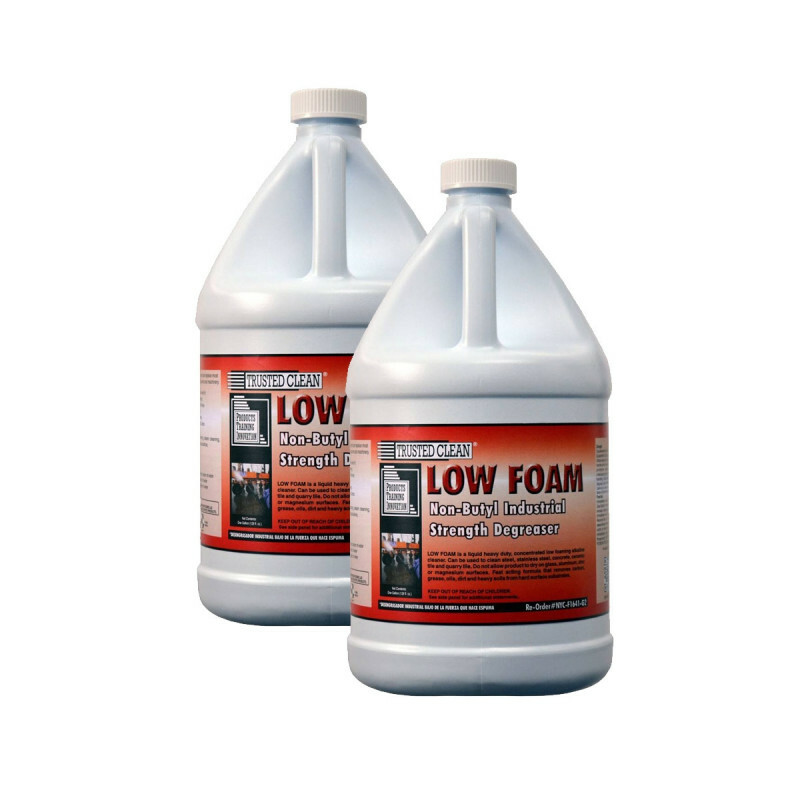 Low Foam is safe to use on clean steel, stainless steel, concrete, ceramic tile and quarry tile. Do not allow this product to dry on glass, aluminum, zinc or magnesium surfaces. This cleaner is so versatile it can be used for everything from automatic floor scrubbers, pressure washers, and steam cleaners to parts washing, spray & wipe, everyday mop buckets, and grout cleaners. Take a look at all of our carpet cleaning chemicals to find one that's just right for your needs. This product can expose you to chemicals including Diethanolamine, which is known to the state of California to cause cancer and 2-methoxyethanol, which is known to the state of California to cause birth defects or other reproduction harm. For more information go to www.P65Warnings.ca.gov.